An attempt to ban abortion six weeks into pregnancy could return to the GOP-dominated South Carolina legislature in 2020, pro-choice advocates said. South Carolina Republicans’ near total ban on abortion likely won’t pass through the legislature this year, advocates told Rewire.News. 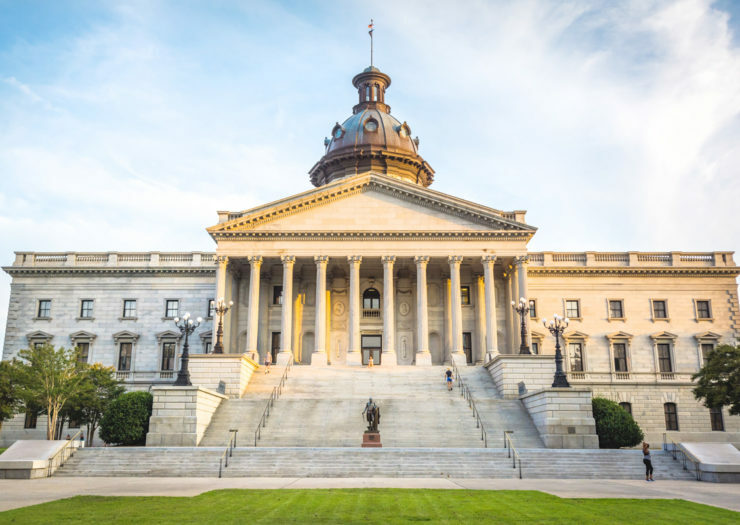 Introduced in January, the “South Carolina Fetal Heartbeat Protection From Abortion Act” is an attempt to criminalize abortion six weeks into pregnancy, before many know they are pregnant. The legislation is part of a nationwide GOP effort to push a six-week ban to the U.S. Supreme Court, where they hope conservative justices will deem the law constitutional and effectively end legal abortion in the United States. Eme Crawford, communications director at Women’s Rights and Empowerment Network, told Rewire.News that similar South Carolina bills have died in the past few years, and advocates expect this one will too since it did not pass April 10 crossover deadline, which was the cutoff for when a piece of legislation can move from one chamber to the other. With three abortion clinics statewide, South Carolina has many rural areas with residents who do not have ready access to an abortion provider. State lawmakers have implemented a 20-week abortion ban and a forced waiting period for those seeking abortion care. “Heartbeat bans“ have been blocked in the courts, as GOP lawmakers push the bans as a challenge to Roe v. Wade. There have been a record number of such bans filed this year, a Guttmacher report notes. Fourteen states have introduced, moved, or enacted near total abortion bans this year. Similar bans recently passed in Republican-held legislatures in Kentucky, Mississippi, and Ohio. According to the Population Institute’s annual report card, South Carolina is 1 of 20 states to receive a failing grade for reproductive rights. NARAL Pro-Choice America, which works to protect reproductive freedom and access, issues an annual report card, which South Carolina flunked. Despite a Republican legislative majority, many in South Carolina support abortion rights, advocates told Rewire.News. “While we see a political will to push forward this piece of extreme legislation, there’s no will of the people. According to a recent poll, most South Carolinians are not in favor of outright banning abortion like this bill would do,” Crawford said.